Male model Andrej Pejic wears wedding dress. 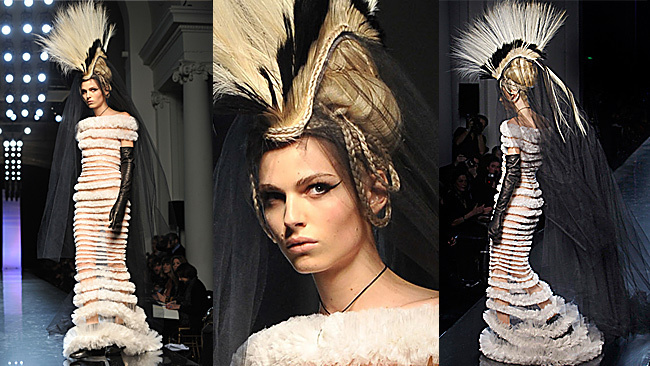 MELBOURNE male model Andrej Pejic has walked the catwalk dressed as a bride for designer Jean Paul Gaultier's womenswear Zeigen at Paris Fashion Week.. Wallpaper and background images in the andrej pejic club tagged: andrej pejic. MELBOURNE male model Andrej Pejic has walked the catwalk dressed as a bride for designer Jean Paul Gaultier's womenswear Zeigen at Paris Fashion Week.